Posted on Thursday, September 22nd, 2011 at 6:54 pm. As the fringes of the Kingdom seem to be filling up with Nearctic waders etc, it was time to get to the Sugar Factory at Cantley in case something rare dropped in. It had, funnily enough. On the sticky wader pit, a scan revealed not the expected one but four Pectoral Sandpipers, feeding along the edge. 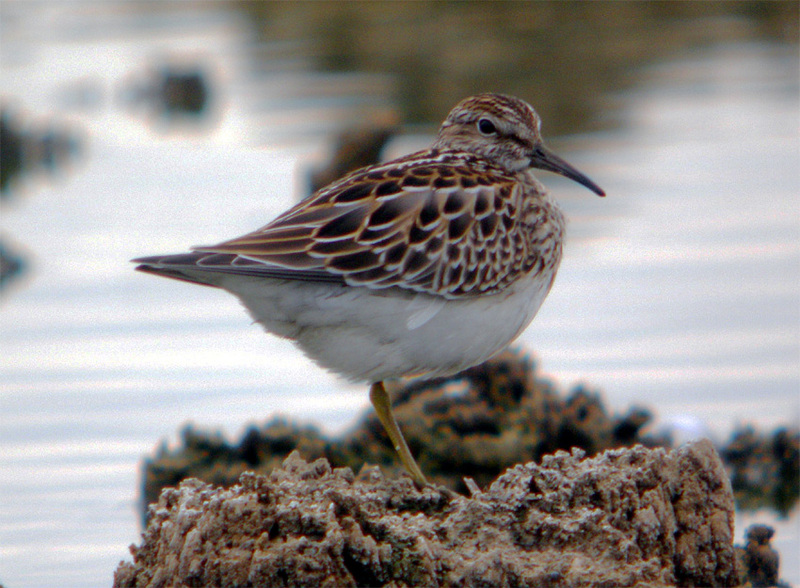 One was rather small and tricked us for a while, mainly because we were dreaming of Long-toed Stints. Then three decided to fly off, leaving one posing for us. A gripping afternoon.